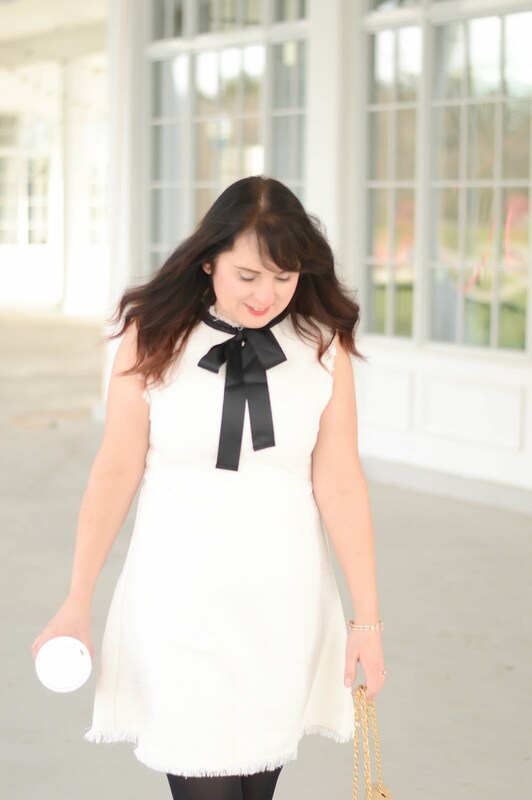 Today's post has an extra sentimental touch. I never share products or clothing lines with you that I don't personally love and if you have been reading the blog for a while then you know I have always struggled with problem skin. My skin is on the oily side and I still get breakouts. During my teenage years, my self confidence really suffered due to problem skin. 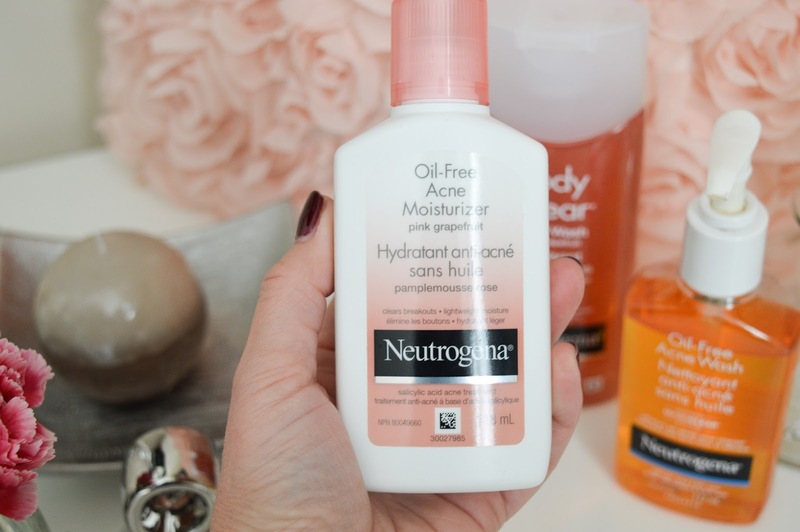 One line that always seemed to help my skin was Neutrogena. 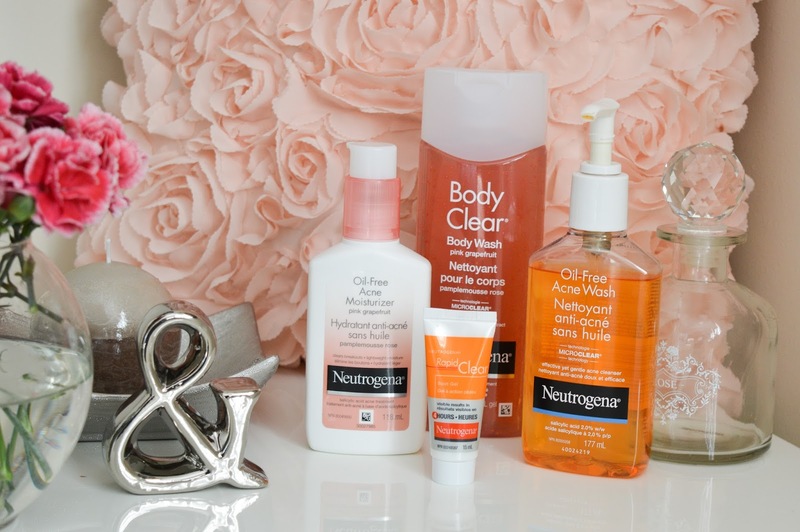 Neutrogena can be found at your local drugstore and most products are around ten dollars. 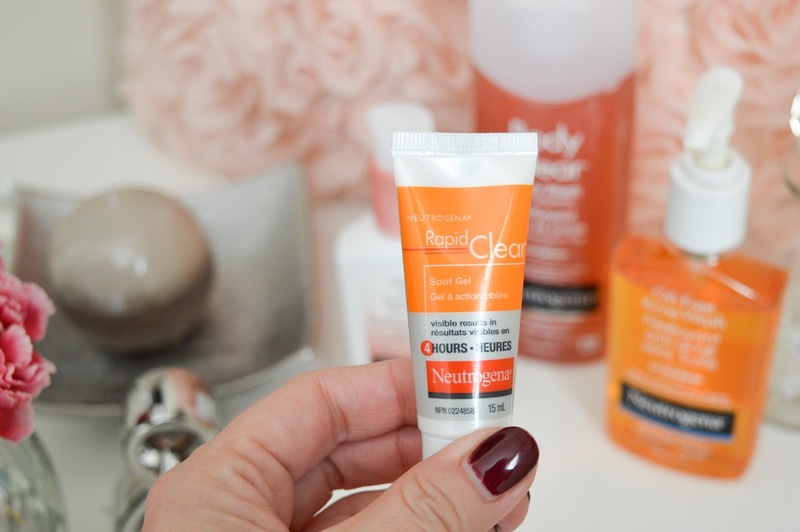 Recently, I was asked by Neutrogena to review some of the newest products to the line and I jumped at the chance. The Rapid Clear Spot Gel comes in a small tube like container and claims to diminish the size of pimples within four hours of applying. This product is amazing, as someone who frequently gets pimples this product is magic. I love that the size of the container is small enough to fit in your purse, and yes, I did notice that the spot gel helped to diminish the size, redness and height of the pimple. The next product I tried and loved is the Oil Free Pink Grapefruit Acne Moisturizer. This product smells fantastic and has quickly become my go-to daytime moisturizer. It is so light, and leaves my skin with a matte look. This moisturizer does not leave my skin shiny and I love the mattifying affect. This moisturizer is light, goes on smooth and gives me the right amount of daytime coverage. You can see by this picture that I have been using the Oil Free Acne Wash consistently since getting it. 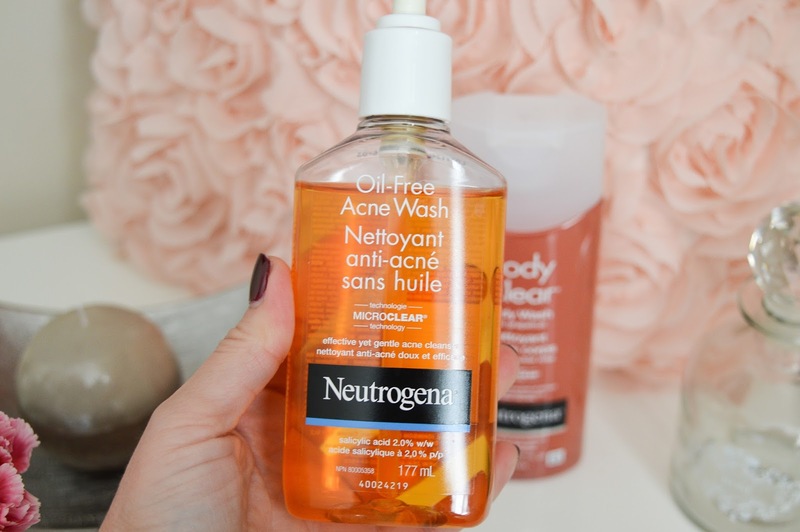 This cleanser is a staple in the Neutrogena line. The Oil Free Acne Wash, gives my skin the perfect cleanse. I love that this product does not leave my skin feeling dry, but yet my skin feels refreshed because all of the excess oil and surface build up has been removed. I had forgotten how amazing this product is and I am so thankful that it is back in daily rotation. The last product I tried was the Pink Grapefruit Body Clear Body Wash. First of all I am in love with the colour of this product. 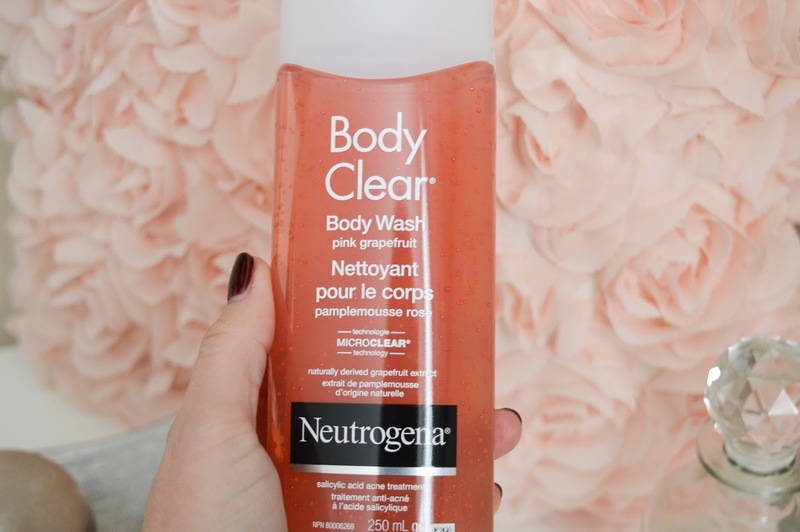 This body wash helps to clear body breakouts and does not over dry the skin. I again, love the smell of this product, a little goes a long way! Thankfully, I no longer have body breakouts but if you are prone to back or chest breakouts this is the product for you. Overall, I am very impressed with the Neutrogena line. I loved all the products I tried and with such an affordable price point it's hard to go wrong. Your skin will show great results using these products.